"Sampath Speaking" - the thoughts of an Insurer from Thiruvallikkeni: London Bridge terror attack ~ India thumps Pak; WI beats Afghanistan !?!? London Bridge terror attack ~ India thumps Pak; WI beats Afghanistan !?!? Birmingham is a city and metropolitan borough in the West Midlands, England. It is the largest and most populous British city outside London; a medium-sized market town in the medieval period, Birmingham grew to international prominence in the 18th century at the heart of the Midlands Enlightenment and subsequent Industrial Revolution, which saw the town at the forefront of worldwide advances in science, technology, and economic development, producing a series of innovations that laid many of the foundations of modern industrial society. One of the most important inventions in British history, the industrial steam engine, was invented in Birmingham. The Birmingham pub bombings occurred in 1974, when bombs exploded in two public houses in central Birmingham, England. The explosions killed 21 people and injured 182 others. The Provisional Irish Republican Army have never officially admitted responsibility for the Birmingham pub bombings, but a former senior officer of the organisation confessed to their involvement in 2014. The Birmingham pub bombings are seen as one of the deadliest acts of the Troubles and the deadliest act of terrorism to occur in Great Britain between the Second World War and the 2005 London bombings. 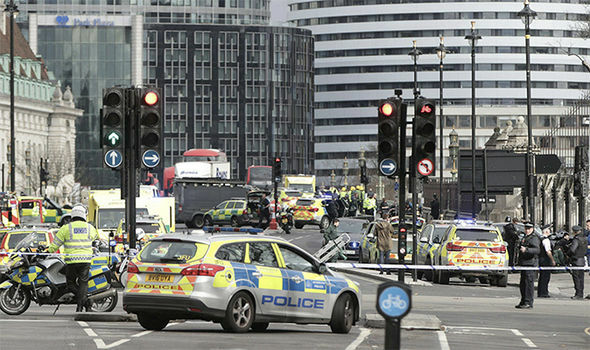 UK is reeling under the threat of terror, Seven people have been killed in a terror attack near London Bridge. Police shot dead the three attackers. BBC reports that 48 patients were taken to five hospitals; 21 are in a critical condition. Eight armed officers fired a total of 50 bullets at the three attackers. One member of the public suffered gunshot wounds and is receiving treatment in hospital. 12 people have been arrested during police raids in Barking, east London even as so-called Islamic State claimed responsibility for attack. It is further reported that one of the attackers lived at the address in Barking; neighbours say he was married with two children. British PM Theresa May condemned the "single evil ideology of Islamist extremism," saying "enough is enough"
Thousands of miles away, an attacking approach with the bat, that saw no improvisation as the innings worsened, ended Afghanistan's record 11-match winning streak and sent them tumbling to a six-wicket loss in the series opener against West Indies at Warner Park. As news filtered through of the grim events in London on Saturday night, the thought briefly arose that the most hyped Champions Trophy game between India Vs Pakistan at Edgsbaston, Birmingham could be abandoned. Maybe as a mark of respect and maybe because it has become clear that these sort of events - busy and joyful - are the new targets of those who hate our way of life, our governments' policies or our history. Or maybe they just hate; the targets are far too indiscriminate for any semblance of justification, wrote a British tabloid. Terror is bad, people are dying and there need not be sports at that time. It was the most-anticipated match of the ICC Champions Trophy and by the time it ended, it exposed the huge gulf between cricket’s two traditional rivals. India were clinical in their approach and got their campaign off to a resounding start while Pakistan were tentative and their batting looked clueless. India’s all-round effort helped them to a thumping 124 runs win, their biggest in the tournament. 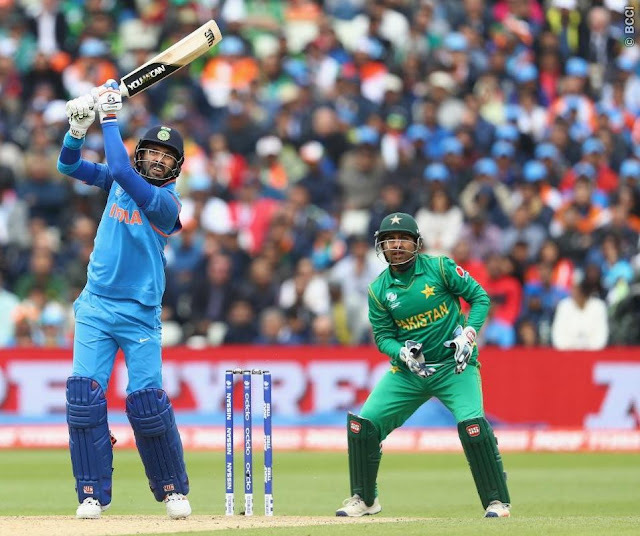 After a delightful batting performance that saw India post 319/3 in 48 overs, the second half was a one-way affair as struggling Pakistan batsmen had no answers to the disciplined effort with the ball. It took India only 33.4 overs to run through the batting lineup as Pakistan managed to put just 164 on the board. The main to Indians were not the opposition but the weather – the rain. During Indian innings there were stoppages and then another rain interruption after 4.5 overs resulted in Pakistan’s target being revised from 324 runs in 48 overs to 289 runs from 41 overs and matters only got worse for them once Indian bowlers took charge. Opener Azhar Ali made fifty and barring Mohammad Hafeez, no Pakistan batsman could cross 20. Umesh Yadav took three wickets while Ravindra Jadeja and Hardik Pandya took two wickets each. Bhuvneshwar Kumar dealt the first blow when he had Ahmed Shehzad trapped in front of the wicket for 12 runs. Pakistan’s batting failed to match up to the rising required run-rate and they never came close to overhauling India’s challenging total. A crushing victory at the hands of India has given Pakistan a "reality check" according to their coach Mickey Arthur. Saying that "the magnitude of the occasion" had got to his team, Arthur admitted they did the simple things wrong as they were thrashed by 124 runs in their 2017 Champions Trophy opener on Sunday. Those who have been following Cricket history, specifically of One dayers would remember reading the moment in 1975, when Prince Philip presented the Cup to West Indies' talented captain, the Man of the Match, Clive Lloyd, just before nine o'clock on a glorious summer's evening. The deciding factor was the wonderful hundred by Clive Lloyd after Ian Chappell had won the toss and invited the West Indies to bat. Until Lloyd arrived at 50 for three, Chappell had set a fairly tight field and his battery of quick seam bowlers had kept the West Indies under subjection. Australia gained the initiative when Fredericks hooked a bouncer high over fine leg for 6 only to lose his balance and tread on his wicket. Greenidge spent 80 minutes crawling to 13 and a rash cut by Kallicharran ended in a flick to the wicketkeeper. Then came Lloyd, hooked Lillee in majestic style, square for six, and then put Walker off the back foot past cover with disdainful ease. WI for another decade + were to rule the Cricket world as tourists to WI were bruised, battered, wounded, bloodied and humiliated by the pace battery. Even their 6th or 7th bowler who could not break into regular ranks could easily represent many other teams; such was their brute force. Sadly, did you notice that in the present Champions trophy 2017 – Group A has : England, Australia, New Zealand and Bangladesh; group B has India, South Africa, Srilanka and Pakistan – yes, you are reading that right, no place for the once mighty West Indies. When this is happening in England, WI is playing minnows in a T20 series and in the 1st match at Warner Park,Basseterre, St Kitts, WI won by 6 wickets and that should make an obscure reading amidst London terror bombing and Champions trophy matches. Incidentally, do you know that WI played their 1st ever ODI on 5th Sept 1973 at Leeds and lost to England by 1 wicket with 3 balls remaining. In that 55 over match, RB Kanhai and Mike Dennis were the rival skippers.